Using data from Kepler and other ground-based telescopes, a team of researchers at the Australian National University has witnessed the first moments of a dying star in glorious details. The dying star, or supernova, observed in the study was first spotted in February 2018 from an explosion that took place about 170 million years ago, according to the researchers' estimates. The supernova was otherwise known as 'SN 2018oh'. 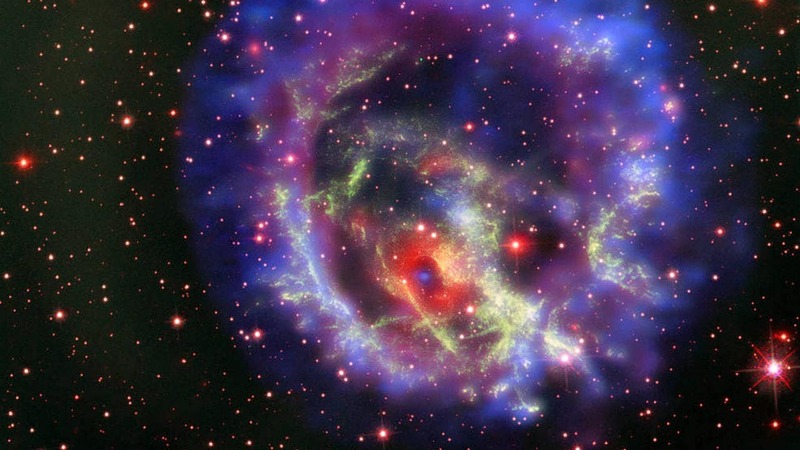 The finding was made in a project to study the processes that take place when stars explode. "Kepler – in its final days before running out of fuel and being retired – observed the minute changes in brightness of the star's explosion from its very beginnings, while the ground-based telescopes detected changes in colour and the atomic make-up of this dying star," Dr Brad Tucker, lead researcher from the ANU Research School of Astronomy & Astrophysics, told university press. SN2018oh is what astronomers call a Type Ia supernova – one that brightens over a three-week period before it begins to gradually fade away. Type1a supernovae are a favorite among astronomers to study dark energy and how quickly the universe is expanding. But SN2018oh, unlike other TypeIa supernovae like it, grew brighter over just days instead of weeks before it began to fade in intensity – roughly three times faster than a typical supernova during the same period in time. Tucker proposes that this anomaly is because of how the supernova came to form – an exploding white dwarf that had run out of its nuclear fuel rammed into a neighbouring star. And bright and hot it was. Findings from the Haleakala Astronomical Observatory in Hawaii show that the supernova gleamed in blue during its brightest period – a sign of raging high temperatures billions of degrees hot, according to their estimates. "With this latest result, we now know a range of star systems cause these important explosions... showing that the Universe (is) growing at an accelerating rate," Tucker told university press. "The now-retired Kepler Space telescope changed our view of the Universe – showing just how common planets around other stars are. It has also now revolutionised what we know about how stars end their lives in brilliant explosions." Exploring more TypeIa supernovae to uncover how frequently and where these explosions take place in the universe, helping create a model of the rate at which our Universe really is expanding.